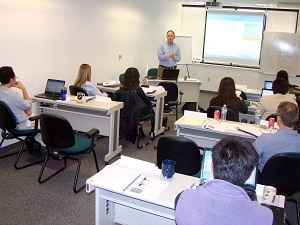 Sign up for one of my San Francisco Bay Area trainings on SEO, AdWords or Social Media Marketing. Or take it online. Check out my Stanford online SEO and Social Media Marketing courses – Enrolling Now! San Francisco SEO Training – a two day course & workshop at various San Francisco locations on search marketing and getting to the top of search engines like Google, Bing, and Yahoo. Social Media Training in San Francisco – a two day course & workshop – learn LinkedIn, Facebook, MySpace, Google Places (Google Local), Google+, and many, many other aspects of social media marketing. Google AdWords Training – although I am no longer teaching AdWords face-to-face in the San Francisco Bay Area, learn about my online AdWords class as well as one-on-one training and consulting services. Enter your name and email below to be alerted as the courses DO fill up!